Story: Long considering themselves persecuted by the rest of the Imperium, the apostles of the XVIIth Legion have courted sedition, betrayal and even open heresy for decades. But for Kurtha Sedd of the Third Hand Chapter, the Word Bearers' assault on Calth has proven... troubling. 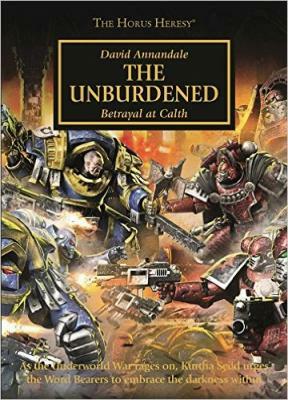 Drawn into the haunted shadows of the planet's underworld, the Chaplain and his devout brethren must now put aside all other concerns and continue to wage war against the Ultramarines, no matter the ultimate cost.